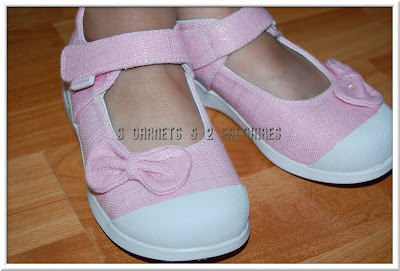 My daughter was first introduced to pediped Flex shoes when she was only 2-1/2 years old with the Giselle sandals. She just fell in love with them. 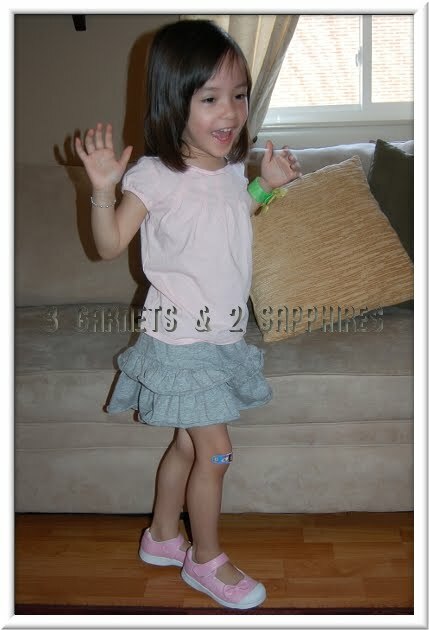 Then last fall she wore the Giselle leather Mary Janes for the first day of school. Needless to say, we are huge fans of the pediped Flex Fit System. We completely understand why pediped footwear has been awarded the American Podiatric Medical Association Seal of Acceptance as a shoe that promotes healthy foot development in children. Most recently, pediped received an endorsement by researches associated with Harvard Medical School and Boston's Children's Hospital in recognition of pediped shoes' roomy rounded toes, ultra-flexible soles, and extremely breathable designs. 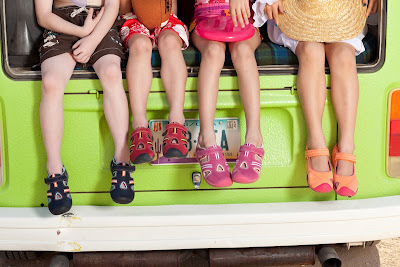 This all proves what we already know about pediped, that a shoe can be cute and fun, while still giving our children the room, support, and flexibility that was once only associated with athletic shoes. The pediped Flex shoes, aside from the sandals, all come with an extra pair of insoles, which give parents the option of purchasing a shoe in a half-size larger than their child currently needs. Once the child grows into the shoe, then the parent can remove the extra insoles, making these shoes last months longer than an average pair of shoes. We have always used the insoles in the past, but this time the Light Pink Sparkle Grace canvas Mary Jane fit my daughter perfectly, to her delight. The pediped Foundation . . . In 2010, the pediped Foundation was established as a philanthropic entity to support children's charities. Since it was founded, over $1,000,000 of funds and pediped products have been donated to better the lives of children, not just in the United States, but around the world. 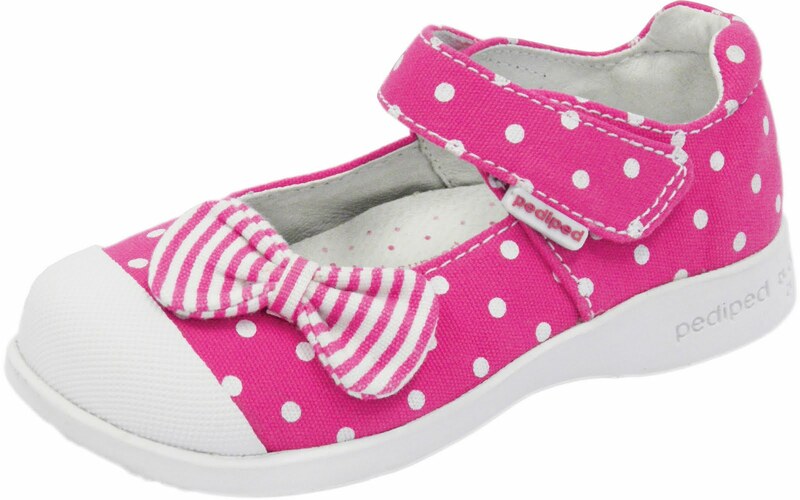 Visit pediped.com to shop and view all the new arrivals in Originals (for children 0-24 months), Grip 'n' Go (for sizes 4 to 7), and the Flex Collection (for sizes 5 to 13.5). You can also find out more information by visiting pediped on Facebook and Twitter. Thank you to pediped for providing a complimentary product sample for us to base this review upon.